SC2SEA.com - Starcraft 2 SEA eSports Community Site > Starcraft 2 Discussion > Community > WCS Season 2: Promote Your Scene! 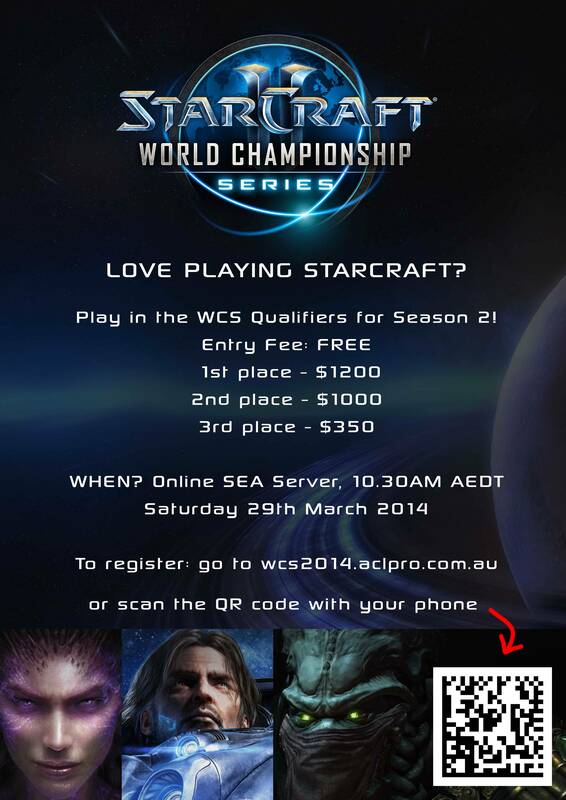 WCS Season 2: Promote Your Scene! Season 2 of WCS is just around the corner, and I thought it would be a good opportunity to round up the community for a light-hearted and fun competition. We've got a nice tight-knit community here in Australia, NZ and around South East Asia. While many of us do our best to retweet and share things to try and help the community out, I feel like we can do just a bit more. The places that are likely to have more gamers are the schools, universities and other similar public spaces where avid gamers are more abundant. 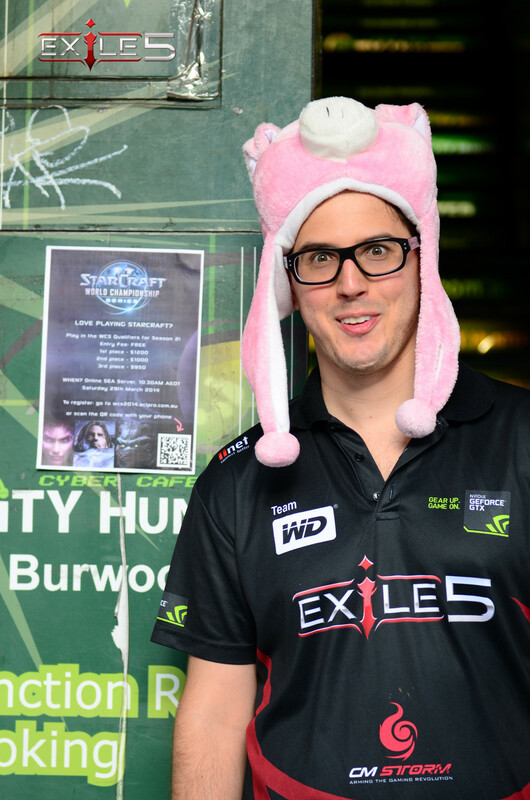 Taking a look at Sydney Collegiate Society, they had 85 people turn up to a LAN just the other day! Imagine what other places in Australia, NZ and the rest of SEA can create? 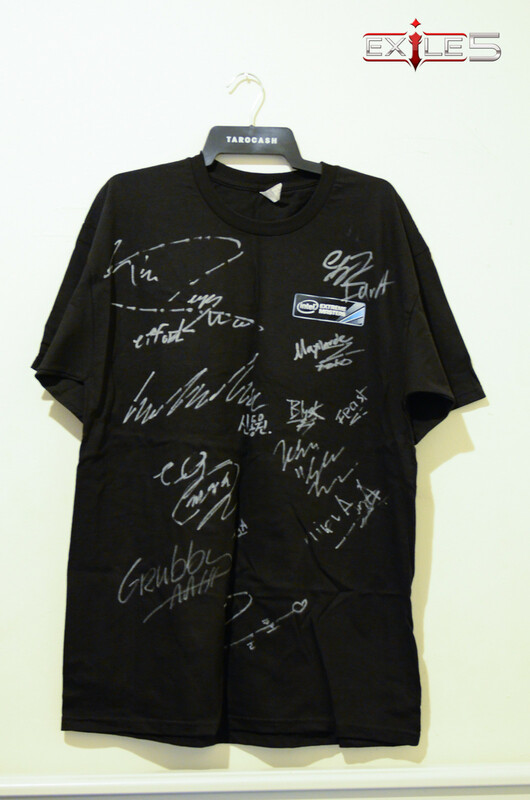 At the moment there are no prizes, however, if I get over 50 entries in this thread I will happily give away a signed Intel shirt from IEM Singapore 2013. This item of clothing contains the pen pressings of such names as CJ herO (winner of the tournament), Grubby, IM Squirtle, CJ Effort, amongst others. Last edited by x5_dot; Sun, 9th-Mar-2014 at 7:53 PM. Is the flyer prizepool correct though? Hope that's not too misleading, as all players end up getting the extra money if they qualify for Challenger League. I'd suggest producing something a little bit less ink abusive. I am tempted to get someone to record me doing some promo spiel about it in the staff cafeteria . I will let you know if it gets past a thought. That would be cool . This whole thing was Dot's idea and at first I was a bit shy/thought it was a bit lame.Then I realised that it's really just trying to remind us to be proud of what we love. So many nerds are unashamedly sharing, tweeting and posting online about gaming competitions they love, but we so rarely feel comfortable doing it in real life. I hope that this inspires just a few of us to feel more comfortable telling our friends, family and colleagues about spending the weekend staying up all night to watch Dreamhack, or how we drove interstate to play in a competition or even invite them to a barcraft! 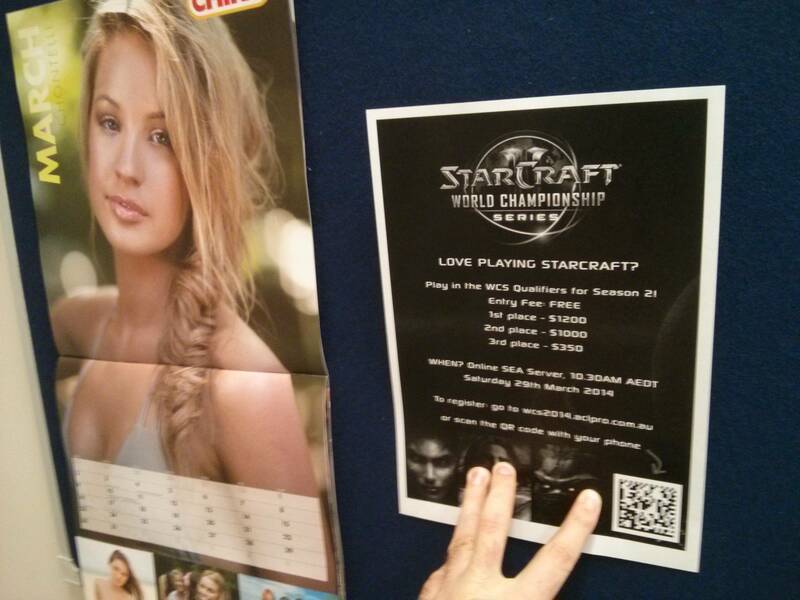 Also if some posters get stuck up at net cafes, train stations and school and University billboards, then hells yeah! My friend is the Manager of EB Pacific Fair on the Gold Coast and my Girlfriend works the in that store. apparently they're very strict, but if you can go for it! Last edited by DGWoLF; Mon, 10th-Mar-2014 at 9:11 PM. Hey all here is a photo of me promoting the Competition at my work i got a few Righteo's ..... and walked on but i am proud to say i at least i tried. Last edited by DGWoLF; Mon, 17th-Mar-2014 at 3:57 PM. Put up something far hotter than my work mate on the office pin board.